You can’t help but be drawn into Zombie Disco Squad’s world and twisted way of viewing things. Four tracks of unrepentant Dance music seeks to unnerve and excite you via the distinctly genre busting grooves, which sound all the more powerful for it. Rude Girl opens with taught basslines and crunchy drums that deliver an epic punch offset by whirring synths and vibrant fx. Commited, continues to feed the intensity with unsettling rhythms and voices, while Back 4 Real strips it all down to Jackin’ percussion alongside the addictive vocals. 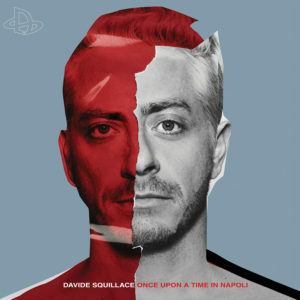 Leaving, the throbbing bass tones of Basement Trax to complete this challenging release of sound from Davide Squillace’s hot label. Returning for their second outing on Lost My Dog Mountal feature three new tracks alongside remixes from Mr V. For me, it’s the punchy, stab driven Nothing To Undo and the gritty Masterkill that work best here, both sounding tailor made for the imprint – tough and provocative for the dancefloor. Mr. V then provides two great versions of Gold Digger with the perky, organ punctuated SOLE Channel Mix, plus the first rate 2 am mix that takes it deeper with thumping kick drums and reverberating effects feeling tastefully late night. 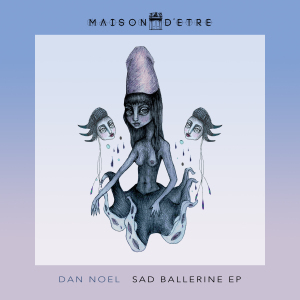 Gorgeous production by Dan Noel whose lush soundscapes are adorned with rich atmospheres coupled by unnerving undercurrents. The stunning, Follow Me plugs you straight into the currency of deep, throbbing rhythms alongside an engaging array of sound effects bouncing around the stereo, while Katy Blue’s breathy words only add to the experience. The remix comes from Anthony Middleton vs Dance Spirit who beef-up the drums with added Toms plus extra bass, synths and tweaked vocals all adding another dimension. Remaining tracks, Nocturne gets tougher as the title track itself ends with emotive strains of music evolving across the arrangement. PS Brenda Leon Atrip’s artwork too! Subb-an & Adam Shelton’s One Records are about to release their finest moment to date. Anthea’s sublime yet slightly distressing production bears all the hallmarks of a classic in the making, with its sizzling electronic rhythms feeling heavy-duty and inescapably funky. Although, perhaps what’s most enticing here are the deliciously sleazy sounding vocals intoning, ‘I can’t dance when you’re next to me’ – hence the records title. First remix comes from Dan Ghenacia who reliably adds some extra juice to arrangement with more insistent bass, swinging hi-hats and haunting keys. The second is by Subb-an whose apt 5am Remix again delves deeper with throbbing basslines, more revealing vocals, and a masterly Murk feel that always sounds killer. The second release from London’s Disco Bloodbath is even better than the first. In fact, it’s an excellent piece of music. Combining the talents of the imprints own Ben Pistor and one half of Maxxi Soundsystem Sam Watts this swirling exploration of synthetic sounds feels like a trip through a myriad of influences, which define the finer point s of electronic music, from somewhere in the eighties until now. Love the sense of melancholy melody too as Gone Ghost isn’t shy of exploring a rollercoaster of emotions, then Jamie Blanco’s Acid Rework dives head first into 1988 with Acid enhancing the already expansive chords. The stunning, Arpy finishes in a blaze of intensity, complete with nasty sounds and grandiose Nu Beat references – this is nothing short of epic. 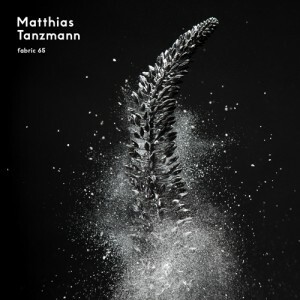 fabric continue their pioneering journey through sound with number 65 occupied by Matthias Tanzmann. The words deep, dark and soulful all crop up when listening to this extraordinary blend of engaging music that begins with the strange jazz of Minimono’s ‘Venus’, passes through Monkey Maffia’s supremely funky ‘Sources From The Past’, via twist and turns from Maya Jane Coles and Davide Squillace. Also featured is his own superlative reworking of Silicone Soul ‘Right On, Right On’ plus Alexis Cabrera’s bizarrely groovy ‘Everything’, which you’ll find in amongst any number of other not so hidden gems. You could also use the words stunning and stylish. Love the Wipe Out Remix of this track from the recent Tides Of Mind album, as it combines sleazy hi-nrg syncopation along with dead-pan, somewhat camp vocals from Miss Kittin extolling the virtues of being a ‘housewife’. Joy. Powered by a huge Kick drum and a bunch of eighties references this sounds like a fun place to be at. An Extended version of the Original also appears (see below) with remixes from Society of Silence who treat it with a much more intense Techno edge, while Yannick Baudino takes it deeper with pulsating beats and atmospheric synths.